How to engage more women in the media in Australia and abroad. A global survey on the status of women in the news media shows our position in the workforce has changed little in fifteen years. We have made small progress into some key editorial positions yet it’s still rare to find women in key leadership positions. ‘In the mainstream news media in Australia, it is predominantly men who determine content. Women journalists are typically located en masse in low- paid, low-status positions, struggling to attain real influence in editorial decision-making roles across all media platforms. While many women find jobs in reporting and some become well known for their work, few break through the glass ceiling and reach influential leadership positions. A stark reminder of women’s absence from decision-making roles in the Australian news media is found in the gender ratio of editors who lead the nation’s twenty-one metropolitan newspapers. 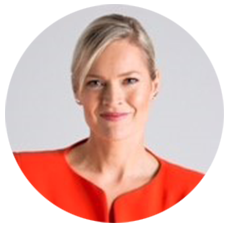 In this series of interviews with respected US/Australian broadcaster Sara James, we discuss the importance of women from all sectors of society stepping into the spotlight. This series is for women across the spectrum of society: scientists, business women, sportspeople, artists, philanthropists, entrepreneurs who want to strengthen their communicating and leadership muscle. Sara also shares a simple technique which can help elevate your voice and encourages us all to play a role in supporting other women. I think it is incumbent on corporations and media are corporations to pay attention. I know for me, when I was at NBC and subsequently I’ve always wanted to do stories that are relevant to women in addition to everyone, but I wanted to pay attention. I wanted to be conscious of who was in my stories as an expert. You were conscious of that? Absolutely. Going back many years because when I was a kid in third grade, I wrote a declaration of independence for girls. It wasn’t lofty, it was teeny and it was scrolled on some paper, because we didn’t get as much time on the playground. I don’t know why to this day, I was little and it was a long time ago but the reality was I was indignant and I realised that we had to kind of look out for ourselves. I don’t by the way think anything particularly changed as a result of my petition and I was only in that school for one year, but the point is we do have to make our voices heard. Here’s the thing: I had to do that thing where I had to call and ask. It’s very hard to do, but the fact that maybe sometimes we don’t think we should have to do that doesn’t mean that it won’t help if we do. I have been blessed (and I think you have too) to be with a lot of women who helped other women, I make a genuine offer. Sometimes there’s stepping stones to what you ultimately want to achieve, it might be writing an article, it might be writing a piece of commentary, and then that can take you to the next step and the next so there are ways to strategise the steps along the way. I’ve certainly asked other women and men for help in my journey and I’m happy to share. Many thanks to Paul Muir for this production.